Some people worry that the homeless will occupy the neighboring beach park and worsen the area's drug problems. 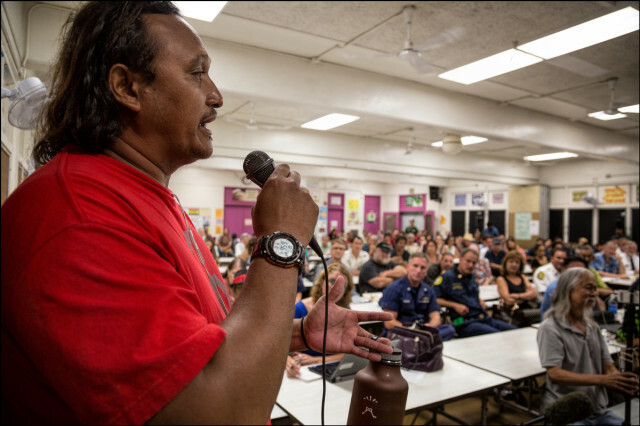 Dozens of people crowded into a small cafeteria at Puuhale Elementary School in Kalihi Wednesday evening to hear city officials discuss recently announced plans to relocate as many as 100 of the city’s most troubled homeless people to a vacant parcel of land on Sand Island. 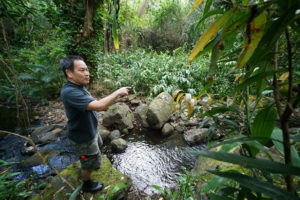 The meeting was called primarily to address community concerns about the proposal to place a homeless encampment close to residents of Kalihi. 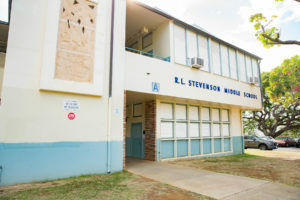 From the elementary school, it is a nearly two-mile drive to the proposed site. To reach the encampment, people must cross the bridge to Sand Island, a heavily industrial area where there are many Matson shipping containers, municipal recycling operations, the city’s sewage treatment plant and dozens of other businesses and warehouses. 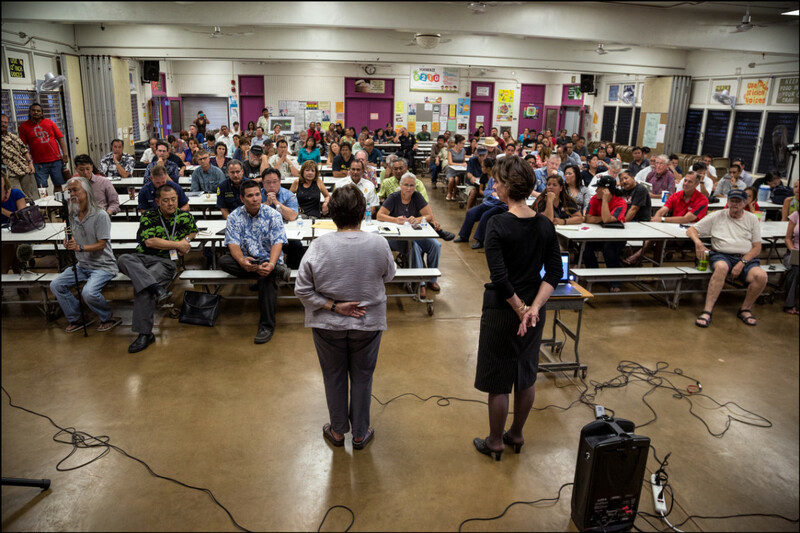 Ember Shinn, the city’s managing director, left, and Pam Witty-Oakland, director of the Department of Community Services, right, speak to a crowd at the Puuhale Elementary School about the proposed Sand Island homeless center. Only a small number of area residents attended the meeting. 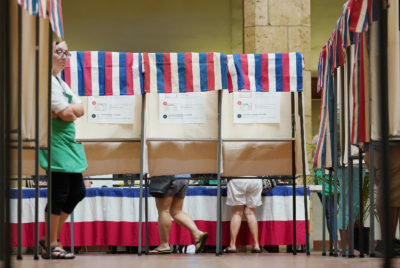 The majority of the audience was comprised of politically engaged residents from outside the neighborhood, homeless advocates and elected officials, including Sen. Will Espero, Rep. Romy Cachola and Honolulu council members Breene Harimoto and Joey Manahan. 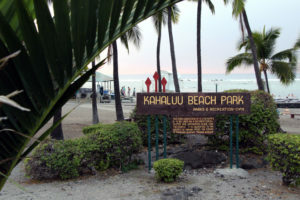 A few residents and Sand Island ocean users raised objections to the plan, saying homeless people at the camp might spread out into the Sand Island beach park and the Kalihi community, leading to concerns about increased drug use and safety in those areas. But most testimony and questions for city officials revolved around the homeless site itself, with some applauding the city’s efforts to tackle homelessness and others criticizing the location. They noted that the area gets very hot and that there is potential contamination from years of industrial use. The site is next to a former solid waste and ash dump, according to Department of Health records. 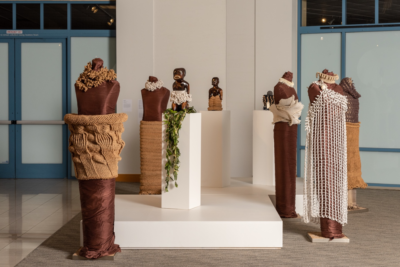 The Kalihi neighborhood that sits makai of Nimitz Highway, was once a largely residential community. But over the years, it’s become an increasingly commercial and industrial area where large trucks barrel down streets where residential housing remains only in pockets. One resident, who didn’t want to be identified in the media, told city officials that she was a local teacher who had grown up in the area. She said that the area is increasingly plagued by air pollution, noise and drugs. 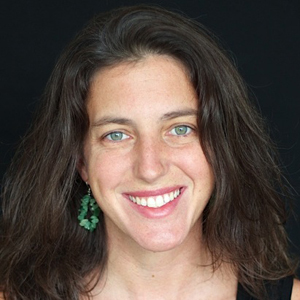 She worried that the homeless center would exacerbate the area’s trash and drug problems. Jon Kiko, a member of a group of local surfers, speaks to the crowd during a public meeting on the proposed Sand Island Housing First Transition Center. Others expressed concern that the encampment will get in the way of people enjoying the beach park. The area is popular with paddlers, boaters and surfers. Jon Kiko, a member of the Sand Island Regulars and Sand Island Crew, surfers who hang around the beach park, echoed those concerns. “Dumping them in someone else’s backyard is not the solution,” he said, noting that it was unlikely that homeless people will stay on the plot because of the heat and the facility’s rules. 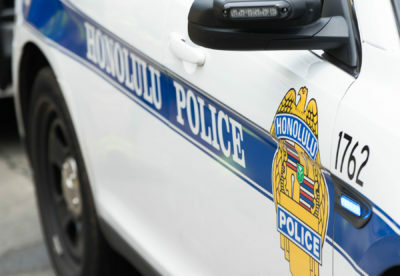 Kiko said that government officials encouraged the relocation of homeless to Sand Island in the late 1980s and early 1990s, and that it spurred increased crime, drug use and park vandalism. Members of Mayor Kirk Caldwell’s administration spent about two hours responding to questions about the site and listening to community concerns. The city aims to keep the site open for no more than two years. During that time, it will host homeless people at the site while officials work to shift them into long-term housing. The site is supposed to include portable restrooms and showers, a tent, benches, 24-hour security, on-site counseling services and two shuttles in the morning and two in the evening to nearby bus hubs. The camp is designed to host the most chronically homeless, many of whom are physically or mentally disabled and have been residing on the streets for long periods of times, sometimes years. A Honolulu Police officer looks over a map of the proposed Sand Island site. 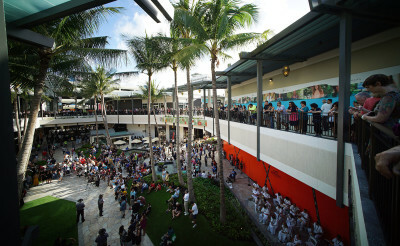 One of the city’s top priorities is to move the homeless population off the streets of Waikiki, where there are estimated to be between 50 and 100. Waikiki hotels and businesses have been vocal in saying that the homeless are bad for business. Ember Shinn, the city’s managing director, said Wednesday that the current goal is to successfully relocate at least 40 of the Waikiki homeless to the Sand Island site. Other urban hotspots for the homeless will also be targeted. To prod the homeless out to Sand Island, the city intends to take advantage of sidewalk and stored property ordinances. During homeless sweeps, city workers plan to give the homeless the option of getting on a bus to Sand Island or having their property confiscated, said Pamela Witty-Oakland, director of the city’s Department of Community Services. The bus would be on hand during the raids. The plan’s skeptics took advantage of the meeting to express their concerns about the Sand Island site and pepper city officials with questions. Rep. Cachola said the city risks squandering money on the plan if it can’t get the homeless to move out to the site. The city is ready to spend about $600,000 on the site, money that will come from the $3 million set aside to provide permanent housing and services for the homeless this year. 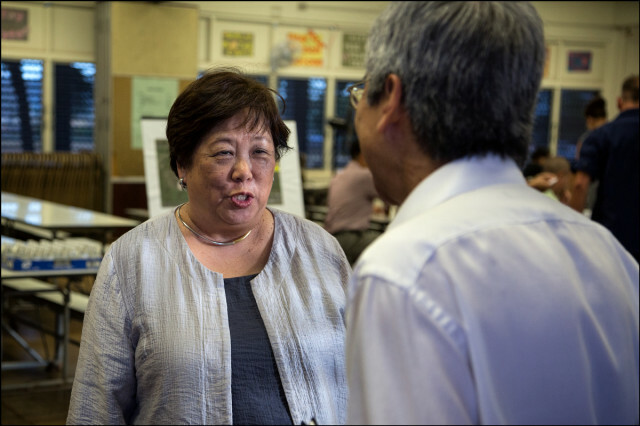 Ember Shinn speaks with Honolulu City Councilmember Breene Harimoto before the start of the meeting. 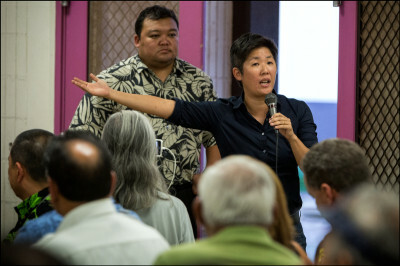 At the meeting, Kathryn Xian, executive director of the Pacific Alliance to Stop Slavery, who has been advocating on behalf of the homeless, objected to the city’s plan. She highlighted the area’s potential contamination from its past use as a solid waste and ash dump. 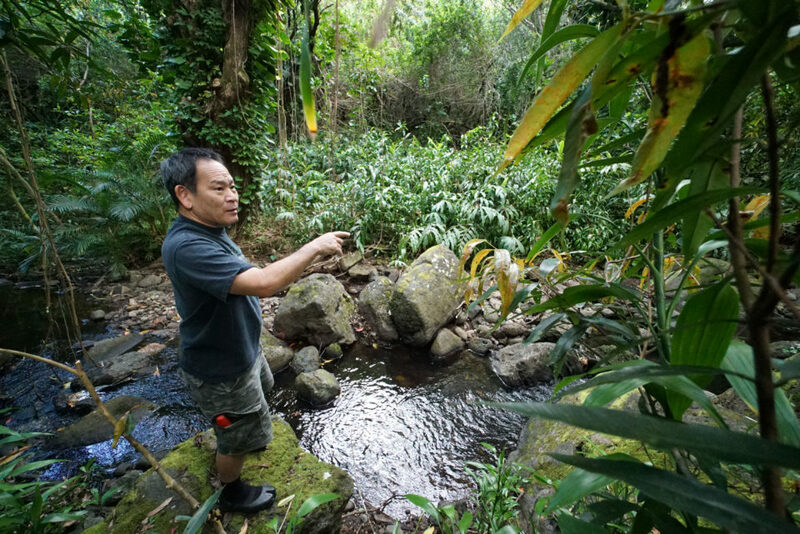 Civil Beat reported on Wednesday about the area’s past use as a garbage and ash dump, and that health studies found contaminants such as lead, dieldrin and arsenic in the soil surrounding the proposed site. Community activist Kathryn Xian speaks against the proposed Sand Island Housing First Transition Center. After the meeting, Jesse Broder Van Dyke, a spokesman for the mayor, downplayed contamination concerns. 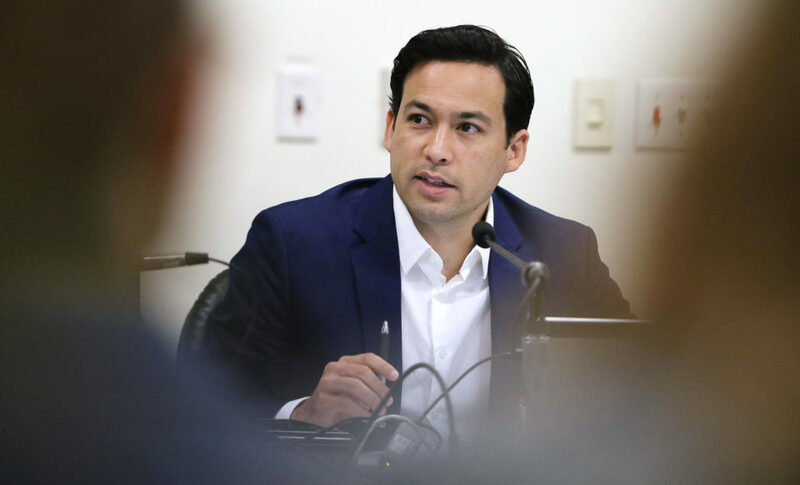 “There is nothing to be alarmed about,” he told Civil Beat, and accused the news site of sensationalizing concerns. 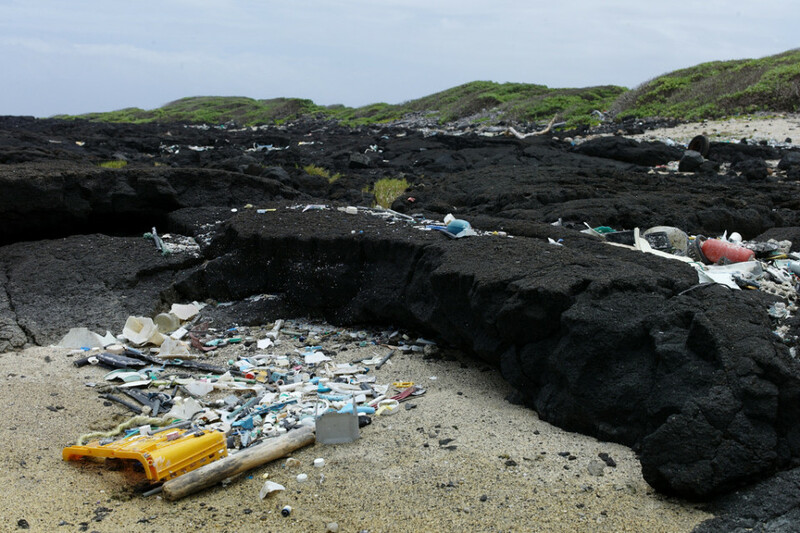 Shinn said on Wednesday that the city intends to pave over the dusty land with asphalt to reduce the risk of contaminated soil coming in contact with homeless residing on the Sand Island site. But critics say that the city is rushing the project and needs to slow down. 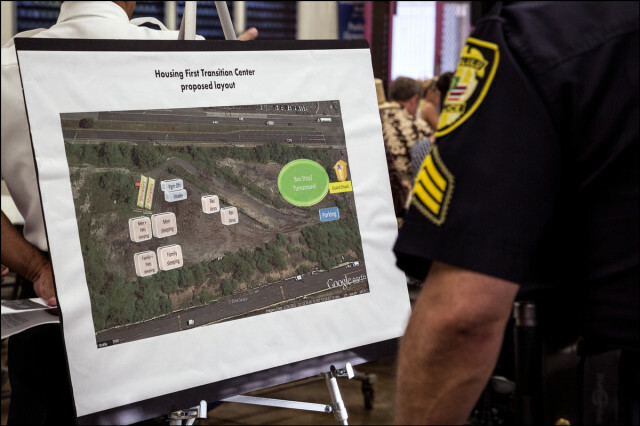 City officials said this week that the Sand Island site was selected after “an exhaustive search” of 25 locations across the island. 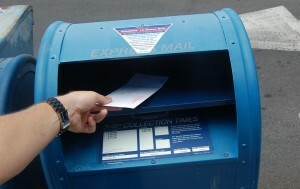 However, the city only discovered this week that the parcel may have contamination issues. The state Department of Health will likely end up deciding whether the parcel is safe for human habitation. Civil Beat asked for a list of the 25 locations that were considered, but the mayor’s office did not respond to the request.